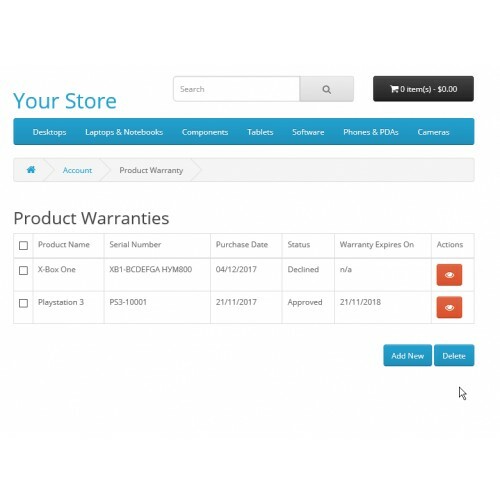 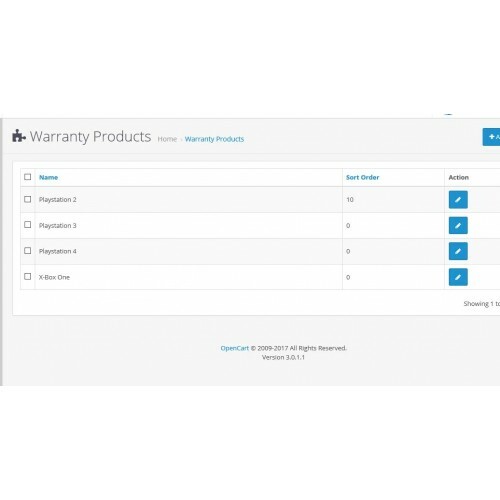 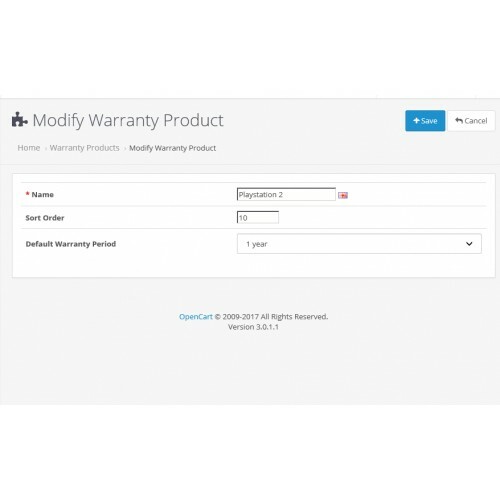 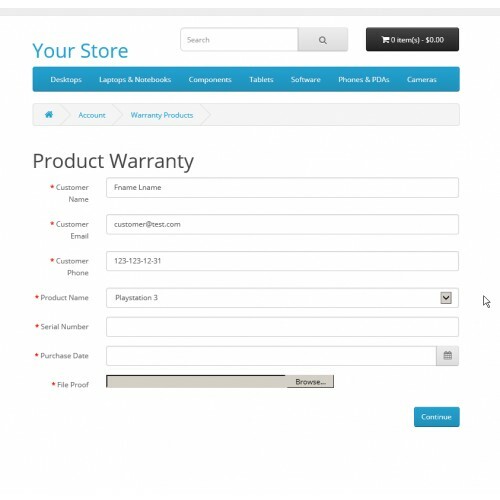 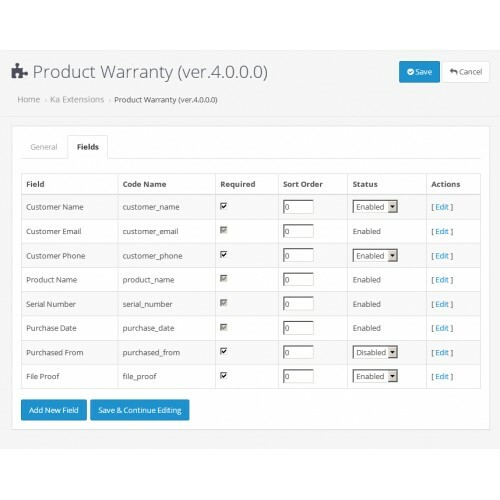 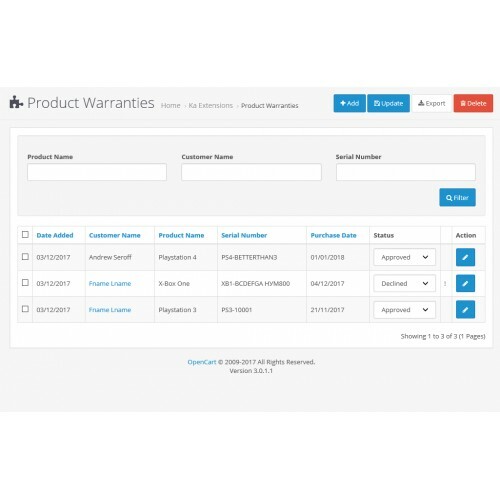 The extension provides the ability to collect and store product warranty information. 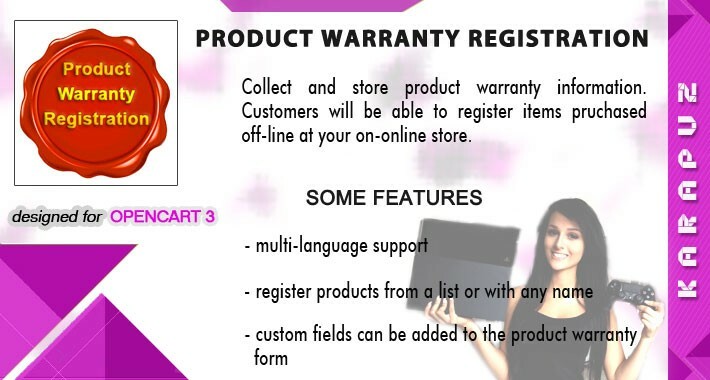 Registered and non-registered users will be able to submit a general product information about their purchases off-line. 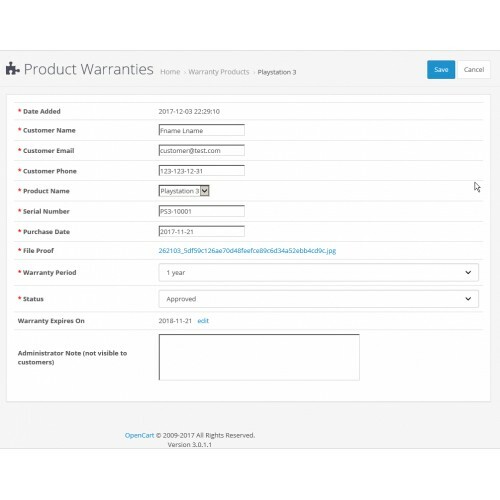 Administrator can review the submitted warranty records and set warranty period for approved records. 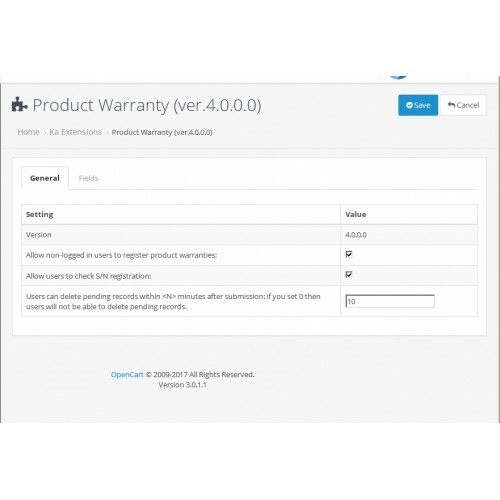 E-mail notification is sent to users once the record has been reviewed. 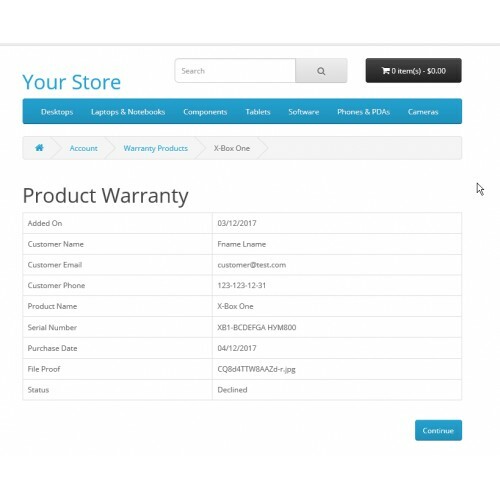 Feel free to submit your comments, questions, notes at support@ka-station.com or in the comments section below.